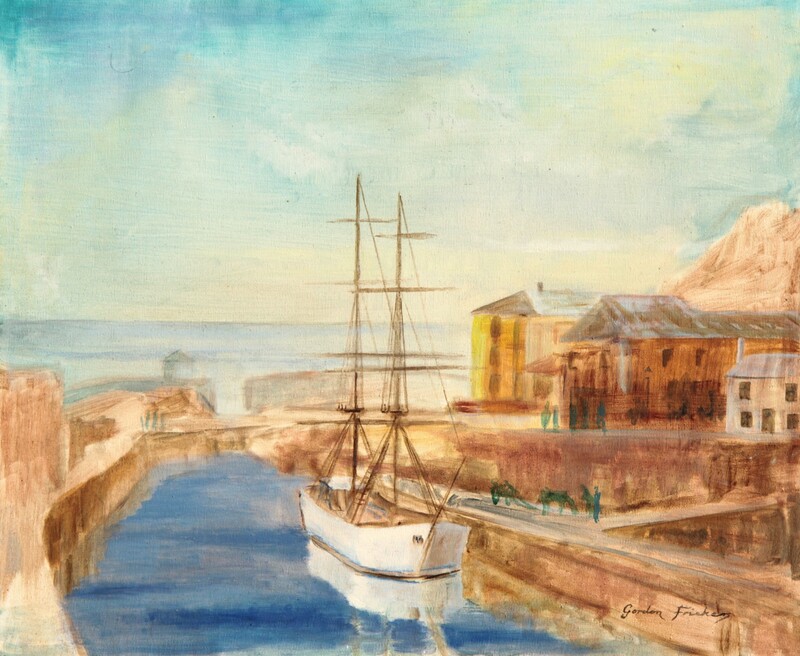 Painted from first hand experience. 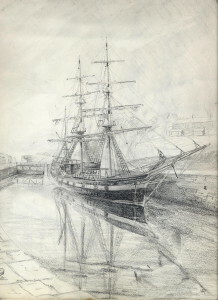 The drawings and sketches shown below are now offered for sale. 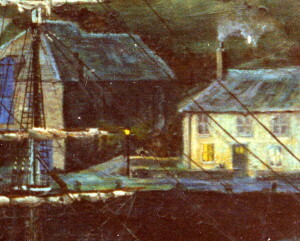 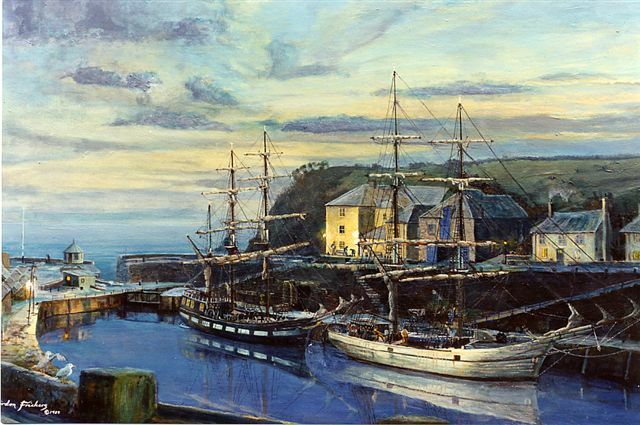 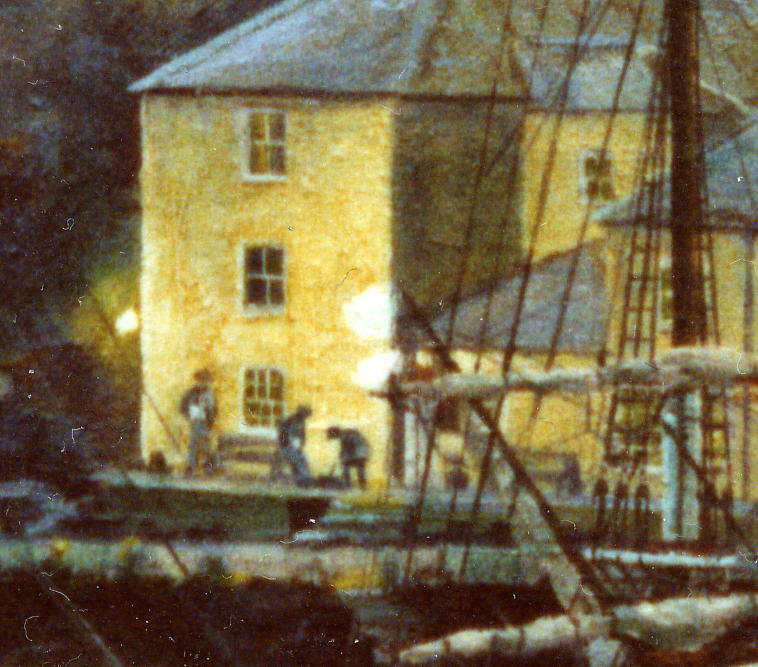 Charlestown, Cornwall is little changed in the 20 + years since this painting was created except it’s days as a commercial port shipping China Clay are over. The port remains very popular with visitors and has 2 pleasant pub/hotels and a visitor center. The port has appeared in many movies and has been the home of Square Rig Ltd and still often hosts spectacular old style sailing ships. 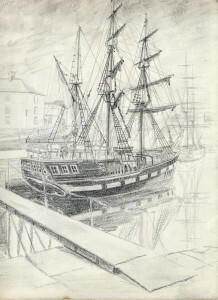 The two vessels shown here were the “Marques” and the “Maria Asumpta“, at that time residents of Charlestown. 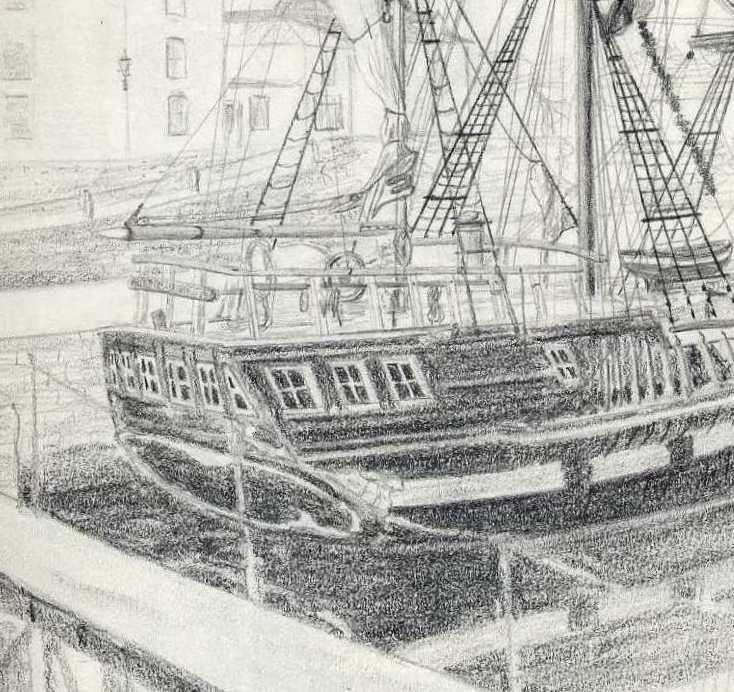 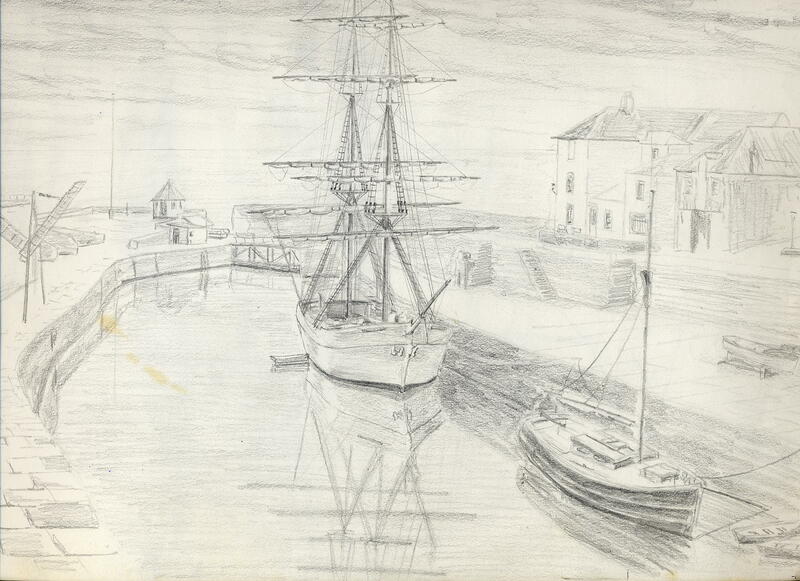 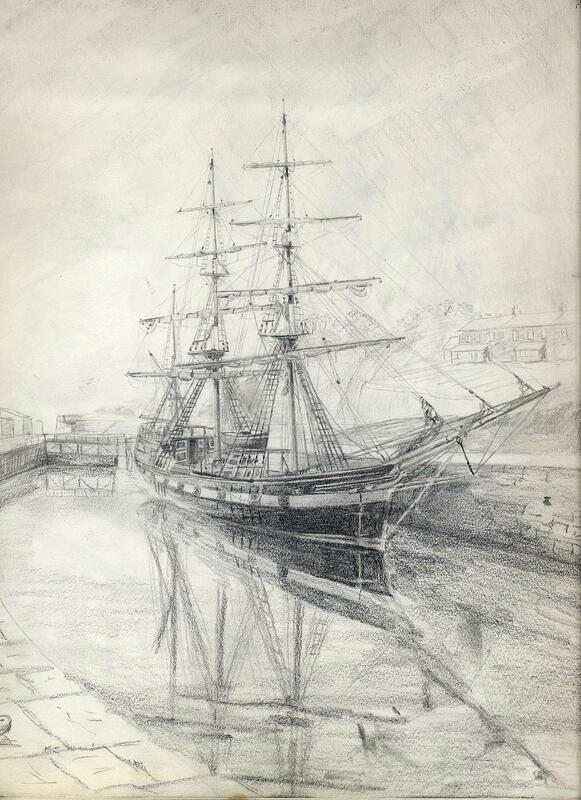 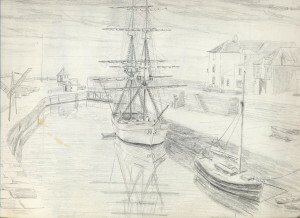 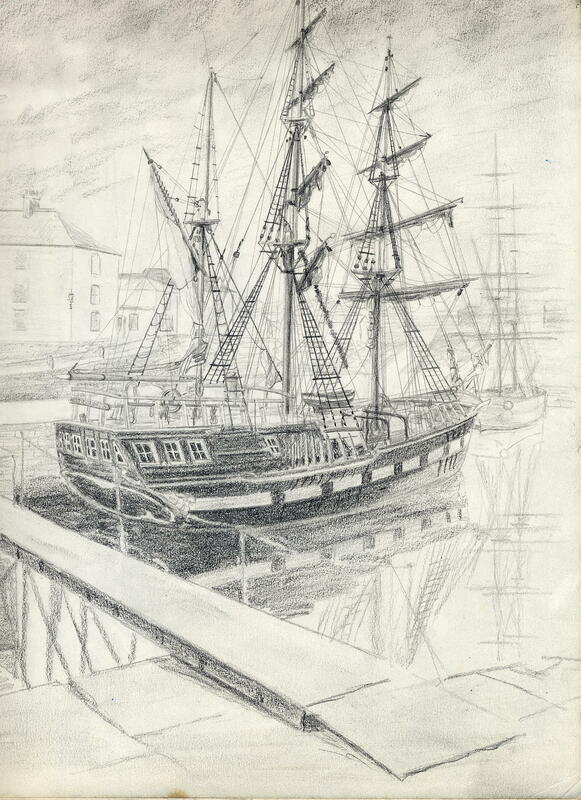 The artist knew them both well, sailed on Maria Asumpta and still occasionally visits the Port of Charlestown.